I have known Dr. Ahmed for few years, I’ve worked with him in a courses and looking for more inshallah.. he is really a great doctor and person ..
Dr Ahmed is such an inspiring great dentist, he is full of passion, knowledge and talent. Best of luck and keep up the great work. Dr Ahmed is by far one of the best Prostodontists I know. Very talented, passionate about dentistry and education, very human in his treat with patients and colleagues. 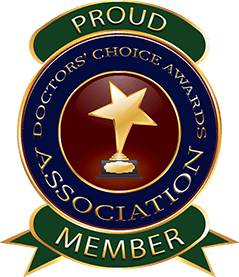 I consider Dr Ahmed an excellent candidate for the award due to all his qualities as a profesional and as a person. Congratulations and all the best! I had the pleasure of meeting and working with Dr. Ahmed in some of the workshops he organized. I witnessed his enthusiasm, dedication, and organizational skills. Thank you for going above and beyond to make sure everything is perfect while being a great mentor and a humble teacher. I have known Dr Ahmed for a few years now and have met in many conferences around the world and he has kept striving to achieve more excellence in his day to day practice as well as helping spread high quality education in the dental field and brining the most up to date knowledge and practices to the region. Dr Ahmed is one of the best doctors I know ever. I know Dr. Shamiyah for more than nine years. He is very supportive of his students and colleagues. Also, Dr Ahmed is tactful with his patients. One of the best prosthodontics that i have known in the dental community , full of passion and knowledge and i had the pleasure to be one of his students. Amazing management skills and i am also one of his patients. I wish him all the best. 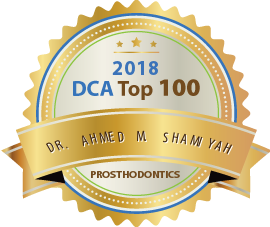 Dr.ahmed shamya is a very proficient clinician who gave the best care, management and treatment to his patient. One of the best prosthodontists with a skillful experience in the dental community , full of passion and knowledge related to dentistry, Wish him all the best . 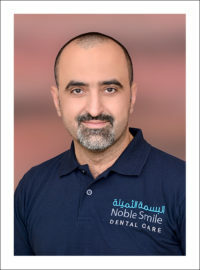 Such a professional and talented doctor with a great knowledge and skills , one of the best doctors that I had the honor to work with , his passion toward his career is amazing which inspires more people to the dental community , his clinic is well prepared with high qualities and standard treatments of dental care which satisfies his patients , I wish him the best by keeping up the great work . 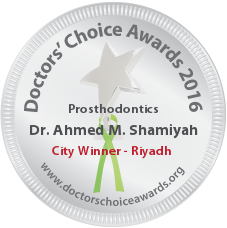 Dr. Shamiyah is a skillful dental clinician who keeps his knowledge up to date. He is not only a good learner, but also loves to share the knowledge and experience he has. I do recommend anyone to receive treatment from him. Definitely he/she will be in safe hands. I have known Dr Shamiyah for several years as we coincide at international courses. He is an excellent well train clinician and teacher. As a person his humane qualities speak for itself. As a friend, one of the most loyal to have. 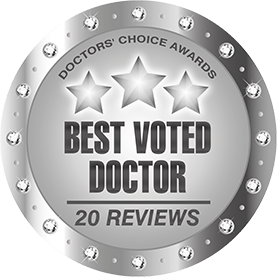 He is one of the best trained middle eastern doctors, we have referred patients to him always receiving excellent feedback. Excellent clinic and doctor with high standard of treatment and quality assurances. The treatment provided and such a nice way and patients are always satisified. I recommend dr. Shamiye for patient seeking best quality of dental care and esthetic professional dental art. 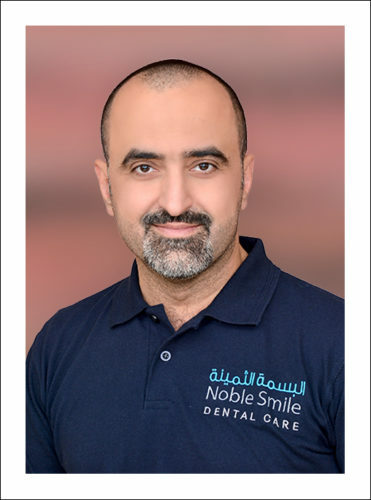 Dr.Ahmed has a huge passion toward his job which makes him one of the best dentists, It’s my pleasure to work with him and take him as a guide. supreme in his field. He has a very gentle personality that reflects his sincerity to things he does. He advocates and he shares his passsion and energy to continous education. Im so honored to know him and i wish him the best. Excellent candidate, full of passion and dedication towards career and adding value to dental community through continues education activities. Wish him all the best because he deserve it well. A conscientious dentist whom I have had the privilege to work with in the academic setup. Truly skillful, ethical and helpfu. You deserve the laurels that are being bestowed upon you. Congratulations and keep up the great work.